What's a typical length of spanish moss? ...the entangled strands become a matt of live and dead spanish moss, as the innermost strands die because of lack of light and air. 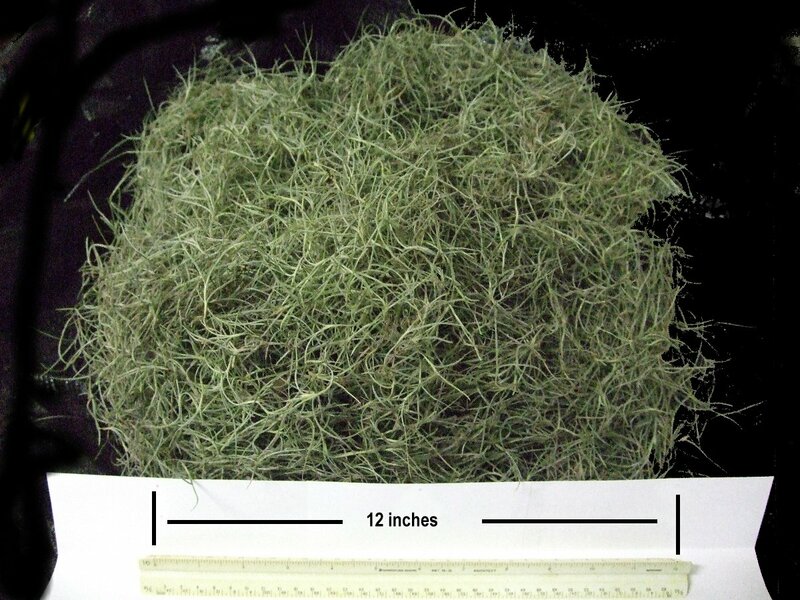 The following photos provide a reference on the volume of various sizes ofspanish moss. A larger version of the picture is available by clicking on each photo. Half pound of Spanish Moss, approximately 12" inches square. Fills a 13 gallon kitchen trash bag packed faily loosely. 80lbs of Spanish Moss hanging on a line 50ft long.